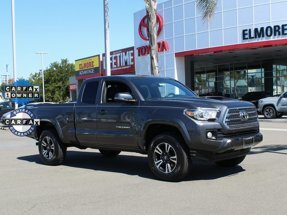 Elmore Toyota is one of the Largest independent Toyota Dealerships on the West Coast. All of our vehicles undergo a rigorous Safety Inspection and Reconditioning Process in our Service Department. They are not sold until each vehicle is in excellent condition. Visit Elmore Toyota for a huge selection of New & Used Toyotas and a variety of other used cars, trucks and SUVs. Our finance experts will get you the perfect terms to suit your budget and our Toyota Certified Technicians will keep your used car RUNNING LIKE NEW! 00170505.